The Rock of Cashel. Despite appearances, there are only three individual buildings within the walls on the hilltop: the Vicar’s Choral (early 1100’s, left) and the small Cormac’s Chapel (center-left tower, from the mid-1100’s) engulfed by the larger, less-refined structure, the Cathedral (everything else, including the part under repair in green scaffolding). 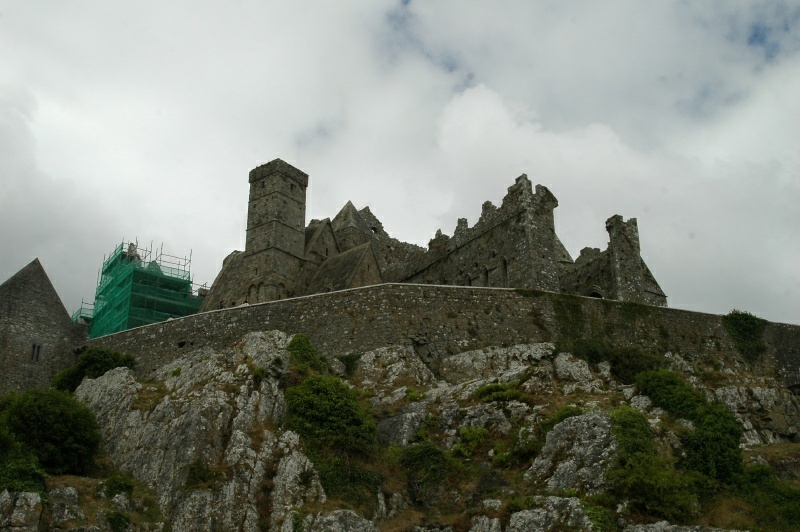 Wickipedia has a good, short entry on the Rock of Cashel. Please come back, eh?